Faith. Why was Jesus amazed by it? What is it? How do we get it? Where does it come from? Jesus told a Roman army commander (Luke 7:1-10) that he had not even found a greater faith in Israel when the commander pleaded with Jesus to heal his servant, but knew he did not even deserve to be in Jesus' presence. 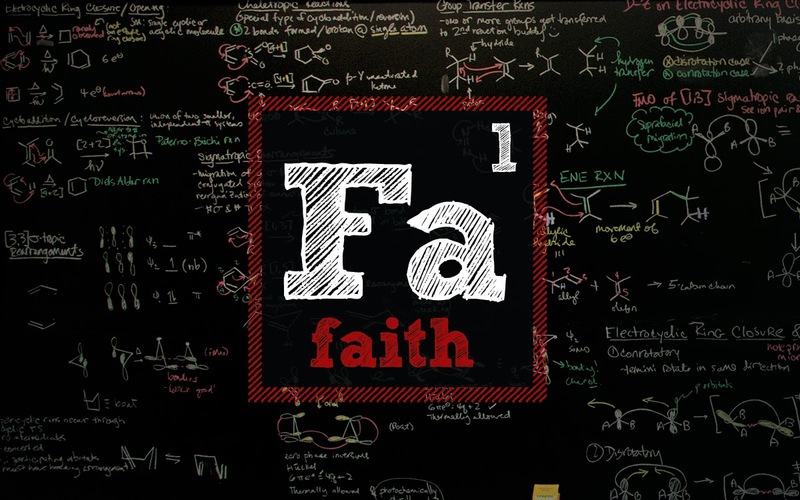 Why was Jesus amazed with someones faith who was not even an Israelite? The Roman Commander understood the essence of authority and explained that he to was in authority over a regiment of the military. But as he understood his own authority he knew and understood Jesus' authority over all and believed that Jesus could heal this man he was pleading for. This man's faith was amazing to Jesus not only because he knew Jesus could heal, but I think more because this Roman Commander placed himself under the authority of Jesus. He showed a spirit of submission. Is our faith sometimes more difficult than it should be simply because we refuse to submit the most important parts of our lives to Christ? Is it because we are willing to follow Jesus if all we believe he wants is for me to come and listen on Sundays and to maybe offer as charity a little bit of my time every once in a while? This thought is continued (Hebrews 11:1) when we are told that faith is the reality of what we move into which is not yet seen. How often do we stagnate spiritually when we refuse to trust? We refuse to trust that God's authority is a sovereign, all knowing, and loving authority where He holds us in the palm of His hand not to crush us, but just the opposite to see us blossom to reflect His clear image in our lives. It is hard to take a step forward without a sign that the next 3 steps are already determined. You see faith is putting one foot in front of the other believing that the next step will be shown again because God's authority in our lives is one of a loving Father to protect, provide and lead. Look throughout chapter 11 of Hebrews and you will see both men and women who simply trusted in their Lord no matter how things might have appeared around them. Wrapping this thought up Peter tells us (1 Peter 2:6) that when our trust, faith, and authority rests in Jesus we are never shamed. We have to understand that we are considered God's most valuable treasure; His most valuable possession. He went to all lengths and measures to rescue us from our sin and mess in order to give us a new life; in order to call us to new things, new steps that we don't always see in order for us to know His love and protection at a deeper level. As that deeper level is revealed we see more of the treasured possession God is raising within us. Right now God is leading us through a time of Faith stretching. We are walking through a time where we are reminded of Christ's authority within our lives; the kind of authority in our lives where He desires nothing from us, but a trust that He may pull out His most treasured possession. In our culture sometimes the hardest thing and the last thing that we give God authority of within our lives is our stuff. Why? Some may be selfishness, but honestly I wonder if most is due to us really coming to a place where we believe God when he calls us treasured, valuable, and says that He will take us into the palm of His hand to raise us up. Our Re:Awaken 2016 Vision Campaign I pray is a tool in which God uses to stretch our faith, to help us take one step beyond what we can see and when that happens we discover more of God's character and how He values us. As a church we are working on seeing $110K given over the next two years that in the end will help us reach more for Jesus in VB and in Portsmouth and to better minister to those God has brought and will bring to us. Just this past weekend Awaken collected an initial $70K in cash and pledges towards our goal of $110K. It was an incredible beginning for a new season of Faith stretching. On a personal note Connie and I were challenged to give more than we ever have towards this initiative. During the last couple of months as we were determining what God would have us give we received bad news on our van; it didn't pass state inspection and the bill was going to be upward of $1200. Over the next couple of days we struggled how God was going to move. Next thing we knew a friend took our van and fixed our inspection items at no expense to us. Through this process God challenged us to give more than we thought possible, not out of guilt or pressure, but because we saw how God can be trusted when we step out to reach others with the gospel. Faith. A reminder to me that I am one of God's most valued possessions.